When the WBC ended, Neshek joined those new Phillies teammates. The reality of his current Major League Baseball situation would quickly reveal itself. The Phils would prove even worse than most predicted. Headed into Sunday’s final game before the MLB All-Star break, the Phillies are the worst team in baseball. The team has dropped five straight games, and they are 17-49 since April 27. The bullpen has been generally awful during this campaign. The Phillies are 11-23 in one-run games, and most of those were blown late by the relief corps. But Neshek has been the one member of that bullpen to consistently do his job. 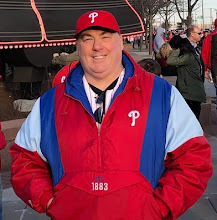 He has been so good, in fact, that last week he was selected as the lone Phillies all-star representative. Entering Sunday, Neshek is 2-2 with one Save. He has allowed just 26 hits over 34.1 innings with a 34/5 K:BB ratio. He has outstanding 1.31 ERA and 0.903 WHIP marks as well. It will be the second All-Star Game appearance for Neshek. He was also selected to the 2014 NL squad while with the Saint Louis Cardinals. Neshek and his family will make their way to Miami for the All-Star Game festivities following Sunday afternoon’s game. They will enjoy a wonderful three-day experience in south Florida before returning to the reality of the Phillies lost season at the end of the week. Even then, Neshek could be getting ready to see his outstanding personal 2017 season continue. He is one of the Phillies prime pieces of trade bait as the MLB trade deadline approaches at the end of July. As we get deeper and deeper into the month of July, especially should he continue to stay healthy and perform at a high level, Neshek’s name will be involved in constant trade rumors. It will be a mild upset if Neshek is still with the Phillies come August. The more likely scenario is that he will have been traded away to some contending team. Maybe back to Houston, or off to Boston or Texas in the American League. Maybe to Washington in the NL, where the Nationals bullpen has been a constant source of frustration to a genuine World Series contender. It’s a great time to be Pat Neshek. He is on quite a roll here in 2017 thus far. If his luck continues, he should find himself pitching with a contender before it’s all over. Hopefully for the Phillies, he can return a bit of longer term value as well.